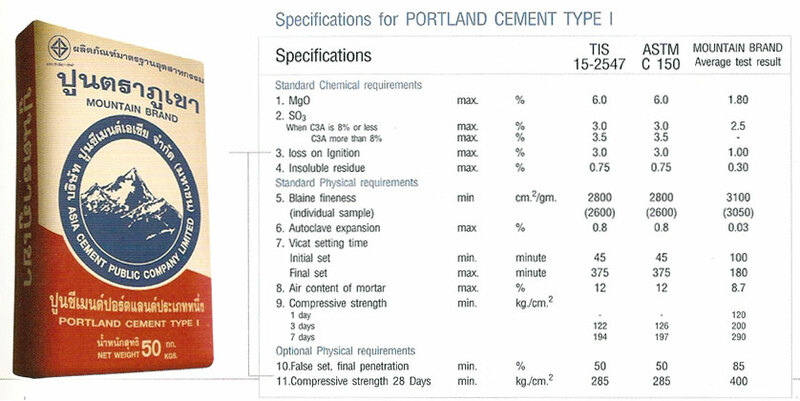 Mountain Brand is a Portland cement manufactured in accordance with Thai Industrial Standard : 15 Vol. 1-2004, Type I, with corresponds to the ASTM C 150 Type I. This brand of cement is suitable for use in large-scale construction projects.